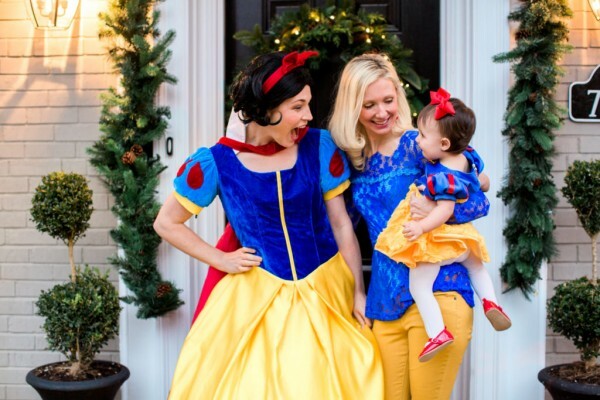 Racking your brain for the perfect kids birthday party theme? Well rack no more! 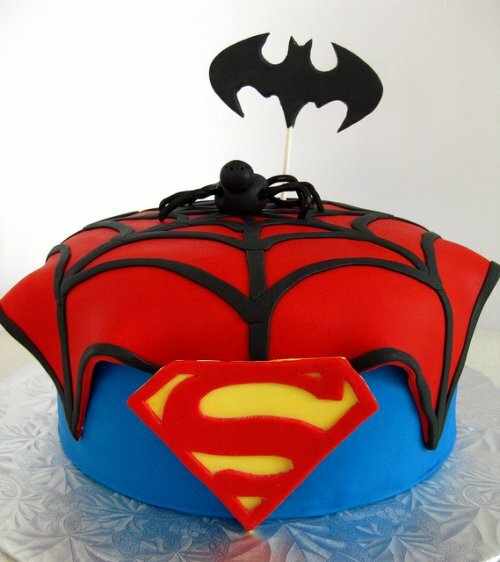 Go up, up, and away with this super cool, superhero party. 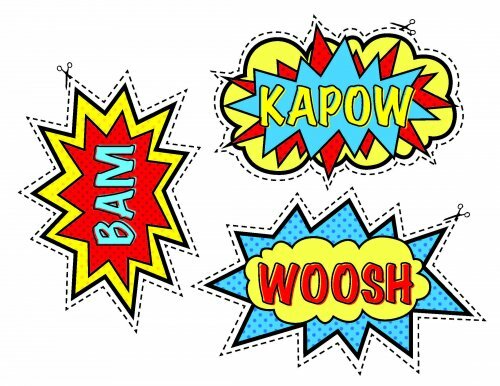 Its BAM, POW, and WOOSH-ness is a fun and vibrant design that kids love. 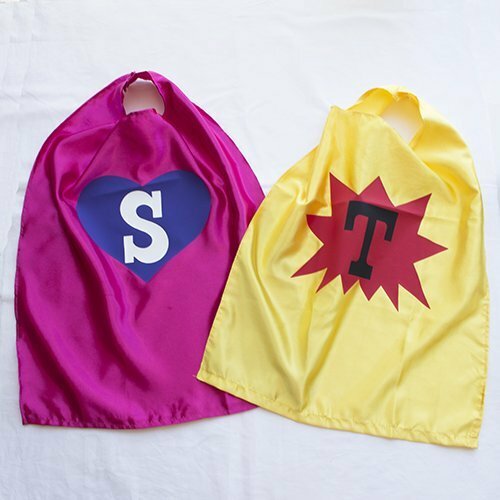 We’re betting that you’ll be their superhero by choosing this theme for their next birthday party. No superhero party is complete without the appropriate accessories. 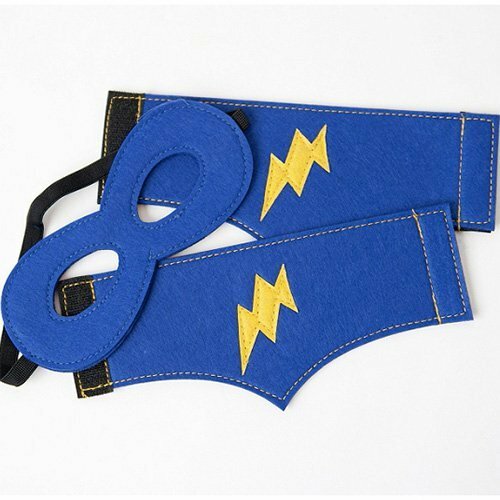 This includes capes, masks, and arm bands in their favorite superhero color. 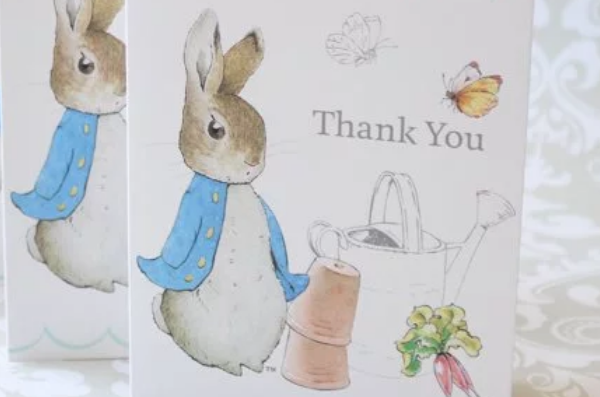 Be sure to get enough for party guests too! It’s only fun when every child is included and gets to be a superhero for a day. 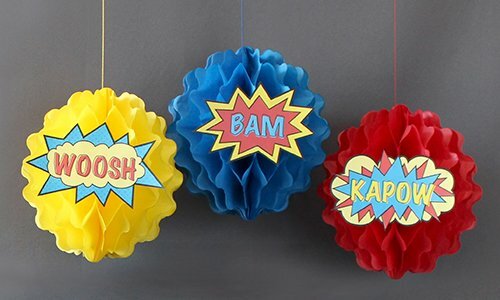 A FREE and easy way to decorate for your superhero party is by displaying superhero sayings like “BAM” and “POW”. Lucky for you we’ve got them ready to go below! 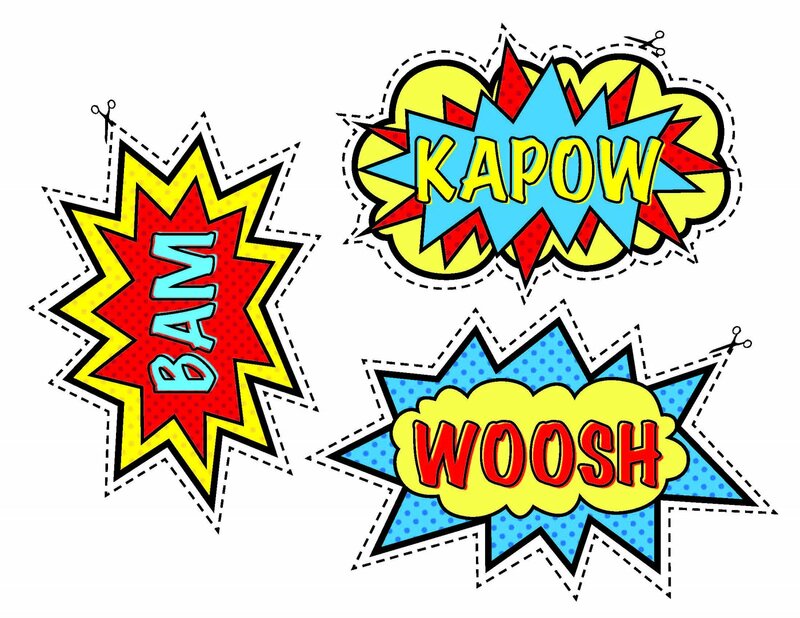 Just click, print, and cut for an easy superhero decorative sign. You can frame or attach to honeycomb lanterns like the above example. We’re not exactly talking about blueberries, kale, or spinach. 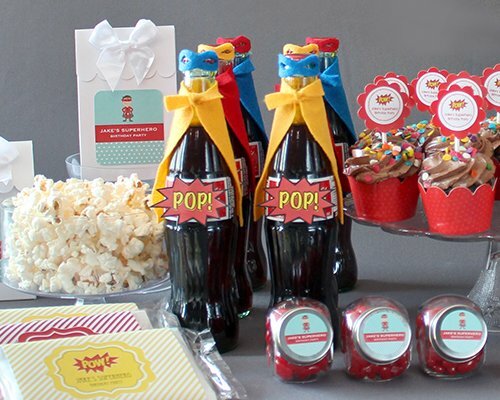 We mean superhero designed cakes, “kryptonite” themed candy, and “POP” themed foods like personalized popcorn bags and soda pop. 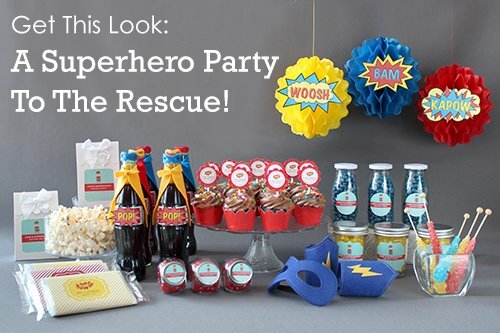 Get crafty with it for your superhero themed party. A fun project is to create a “caped crusader” soda pop. 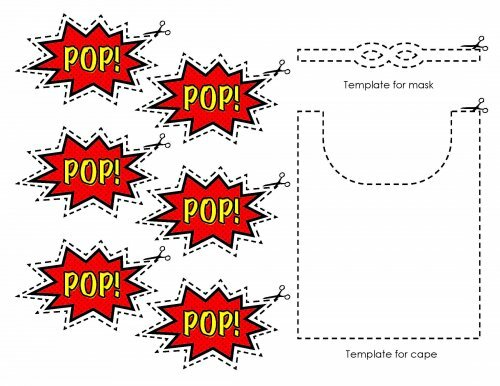 Easily do this by cutting out small masks and capes out of felt using our template below, and then attaching to soda pops. Another fun craft activity is to have a DIY hero cape kit. 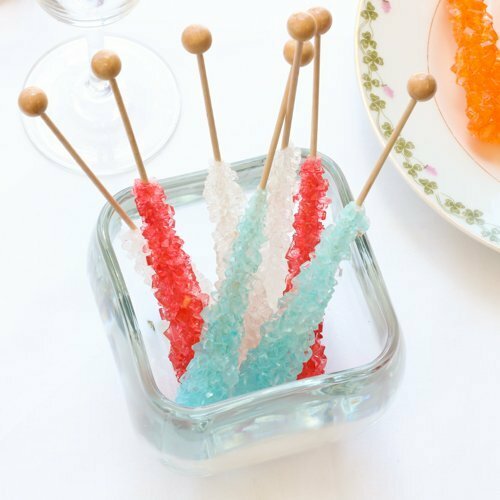 This activity is an interactive way to entertain the birthday hero and his/her guests at the party.